Download for free the tools we developed. Here you can find the tools we developed during all the Erasmus+ projects we have coordinated and have taken part in. Ideally, this will be an area for all those association and young that want to know more about non-formal education techniques, Erasmus Plus, good practices and so on. 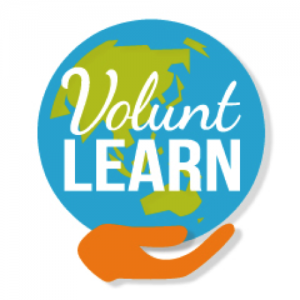 VoluntLearn partner organizations, as the name suggests (Volunt from the Latin verb “will to”), have aimed to learn from each other and develop a structured network which can work together on the qualitative and effective volunteer projects, in several projects following the principles of a EVS program. The project Voluntube aims to strengthen the capacities of member organizations in terms of communication and promotion of their activities through the making of short videos to practical tools once the project is completed. Download the Guideline and find out how to become a Voluntuber. After you have downloaded the guidelines you can download the Official Youtube Channel Intro and create your first VolunTube video. Now you just miss the Official Disclaimer and you’ll be ready to complete your first volunteer testimony to share through all our channels.